TOKYO (AP) -- Toyota, the world's top automaker, and Suzuki, a Japanese rival that specializes in tiny vehicles, are tying up in a partnership. Both sides announced in a joint statement Wednesday they will study areas where they can work together in developing technology for the environment, safety and information networking. They said such areas are likely to benefit from a partnership since the industry is changing rapidly in those areas. Toyota Motor Corp. and Suzuki Motor Corp. said they will continue to compete in other ways. They expressed hopes other automakers will join the partnership to help work toward an industry standard in such areas. 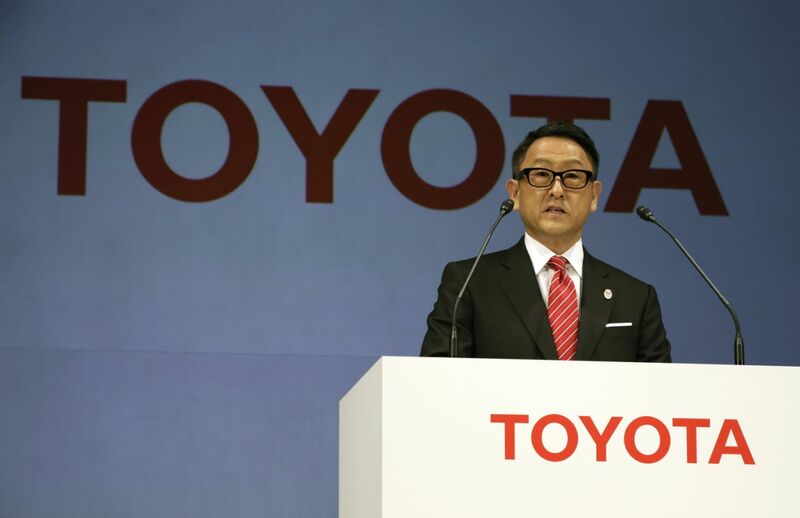 Toyota President Akio Toyoda said survival depends on such collaborations, and it was not enough for a company to be doing just its own research. "It is very important now to have partners who share the same goal and passion," he said. Suzuki specializes in minicars, which benefit from tax breaks in Japan and are reputed to boast good mileage. But it has acknowledged problems with its emissions tests in Japan after Mitsubishi Motors Corp. said it had cheated on such tests. Suzuki denied violating any laws, but the Japanese government ordered all automakers to re-examine their emissions tests after the Mitsubishi scandal. Suzuki does not have a hybrid, electric car or fuel cell vehicle in its lineup. Suzuki Chairman Osamu Suzuki stressed that he has been eager for such a partnership and had discussed it first with Toyoda's father, and Toyota's honorary chairman, Shoichiro Toyoda. "Toyota is the industry-leading, and the most reliable company which is actively working on various advanced and future technologies," Suzuki said. Toyota leads the world in selling gas-electric hybrids, headed by the Prius, and it is also working on fuel cells and electric vehicles. Emissions regulations are tightening around the world, amid growing concerns about the environment and global warming. Toyota recalled 340,000 Prius cars around the world, 212,000 of them in Japan and 94,000 in North America, Wednesday for a defect in their parking brakes. Toyota said in a statement Thursday that it was not aware of any reports of accidents linked to the defect. Self-driving cars also all the rage in the industry, although the use of artificial intelligence in cars on the roads has had mixed results. Toyota tends to be more cautious than its rivals in commercializing the technology, but all the world's automakers are competing intensely in that research. Also Wednesday, Interbrand, a research company that ranks brands, found in its 2016 "Best Global Brands" report that Toyota was the first Asian company and the only automaker to break into the top five on the list that ranks the best brands.